In this podcast Professor Jonathan Phillips of Royal Holloway, University of London examines the Frankish establishment of control of the coast, economic and political development of the Latin East, the Revolt of Count Hugh of Jaffa and Melisende, Edessa and the re-emergence of Jihad, Bernard of Clairvaux, motives for going to war and assesses the successes and failures of the Second Crusade. The Frankish establishment of control of the coast: consolidation of power, flow of trade and pilgrims, the emergence of the military orders. Economic and political development of the Latin East: cultural diversity. 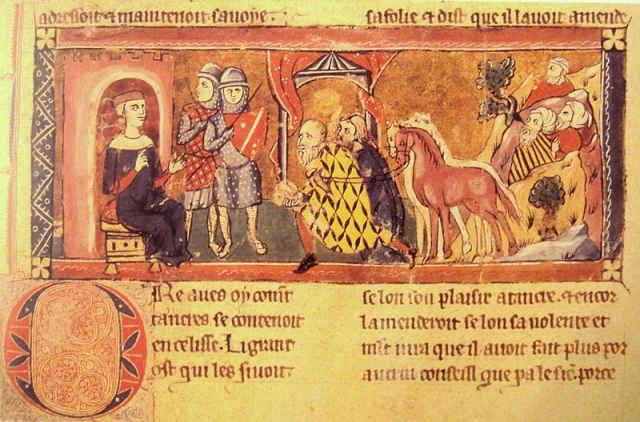 The Revolt of Count Hugh of Jaffa: Melisende, an example of powerful medieval women and the need to balance things with local authorities. The Second Crusade: appeals, the 1st crusade super heroes, traditions of crusading in families and Bernard of Claivaux.